Tiny Barnabe the Donkey is part of the popular La Grande Famille range, dressed in a grey stripy outfit he is a smart little fellow. 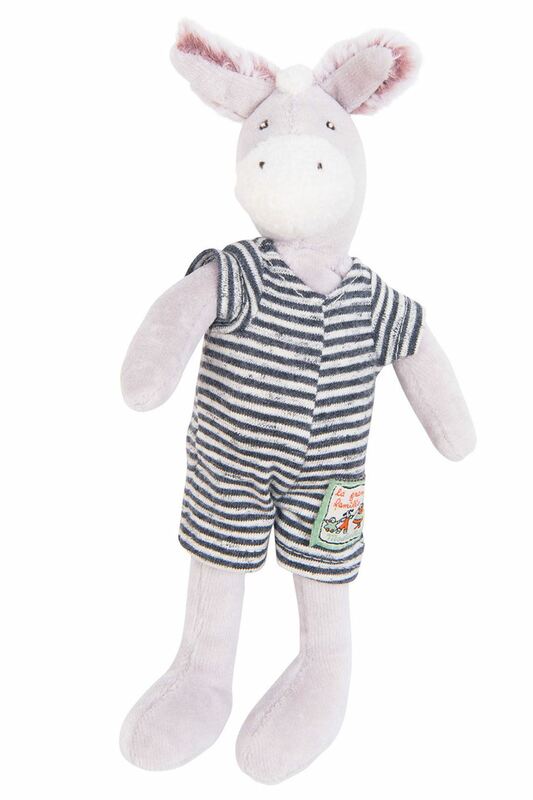 Tiny Barnabe the Donkey by Moulin Roty is a smart fellow with his stylish stripy outfit. With his big ears, long arms and dangly legs, perfect for little hands to hold makes him the perfect companion.